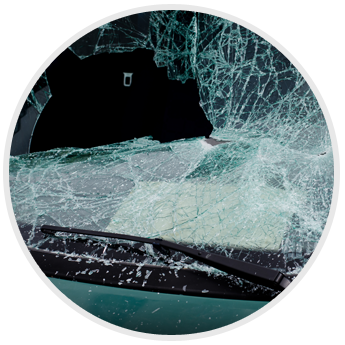 Windshield Repairs, Windshield Replacements | Frisco, Dallas, TX. Your windshield is not solely to defend you from little rocks, bugs, and dust. The windshield protects you from flying out of the car in the event of an accident, and it aids in proper air bag deployment. It also helps to stop the roof from caving in if the car happens to roll over. When damaged, it can't function as intended. Based in Frisco, Texas, 1st Choice Auto Glass has you covered. From windshield repairs to complete windshield replacements, there's nothing our experts can't do to restore the structural integrity and function of your auto glass. Our team, backed by more than 10 years of experience, has the know-how to handle even the most complex repair! As an added bonus, we use top brands to get the job done at a reasonable price, but those aren't the only reasons motorists make us their first choice for auto glass replacements and restorations. Individuals and dealerships alike turn to us again and again, because they can always rely on us for a pleasant experience! 1st Choice Auto Glass guarantees the quality of our work each and every time. For your added convenience, we also provide a lifetime warranty on all windshield replacements, and we work with all insurance companies.